The unpredicted downpour during your camping trip is something you don’t want to experience. You want to wake up at night only to see water entering your tent and you feel helpless. That’s when you realize the importance of holding the waterproof tent. Does making claims about the waterproof make the tent actually waterproof? No, not really. Unless you put your tent to a real-life test, you can’t claim your tent to be waterproof. 4 Precautions Before Waterproofing The Tent? 5 How To Waterproof The Tent? Most of the brands claim to offer the water-proof tents but are they really waterproof? Once in a while, when you put them in use, you will find them to be waterproof but gradually, with the passage of the time, the water-proof coating fades away. All it takes a little downpour and you see water making its home inside your tent. To make sure that your tent is waterproof, you timely have to give attention to your tent. Water-proofing is a not a one time process rather you have to water-proof your tent with the time. So, if you are wondering about how to water-proofing the tent?, here’s our guide that will provide you with valuable insight on water-proofing for tent. Waterproofing a tent is only effective when you hold the best tent water-proofing products. Whether you are looking for the waterproofing spray for tent or waterproofing tape for tent seams, make sure you hold the best of everything. Whether you are water-proofing the tent floor or water-proofing the tent walls, these best tent water-proofing products will prevent water from entering the tent. Check out the best waterproofing spray for the tent. 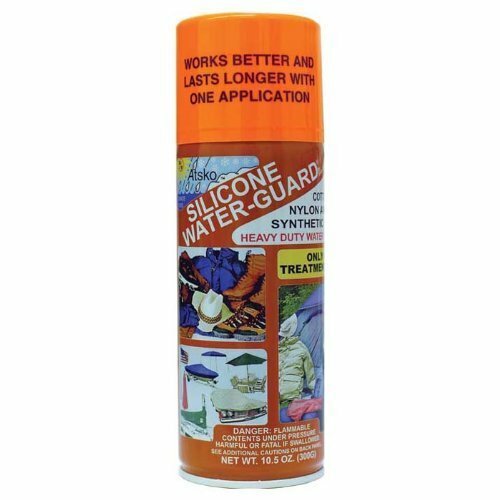 This is the first pick in our list of Best waterproofing spray for the tent. The spray contains the silicon that effectively combines with the fabric to create a barrier for the water. 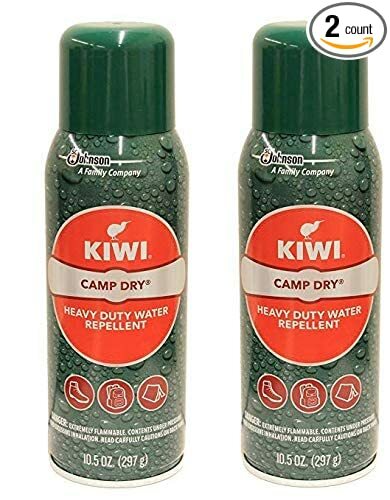 Kiwi Camp Dry spray is widely available and you can easily put it in use. The spray is best and unbeatable when it comes to water-proofing the tent. Besides this, the spray is available in different volumes which means you can choose the one that perfectly fits your specification. Atsko Silicone Water-Guard has made its way into our list of best water-proofing sprays for the tent. The spray contains the solution and has the ability to resist the water. Once you put this spray on the tent, it will dry in 24 hours. The spray performs its job to resist the water brilliantly and there is no doubt in the performance of the spray. One more thing is that the solution contains the silicon which is highly resistant to water. 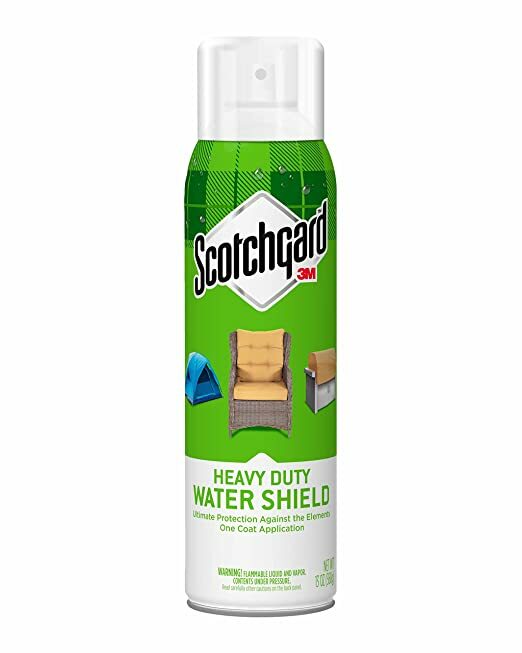 Get ready for an adventure trip with Scotchgard Heavy Duty Water Shield and put all your weather woes aside. Scotchgard will take care of all your problems. The single application is enough to create a water-coating that is highly resistant to water. Besides this, the application of the spray eliminates the odours so you can easily sleep inside your tent. Before you start using it, read instructions to effectively use the solution. 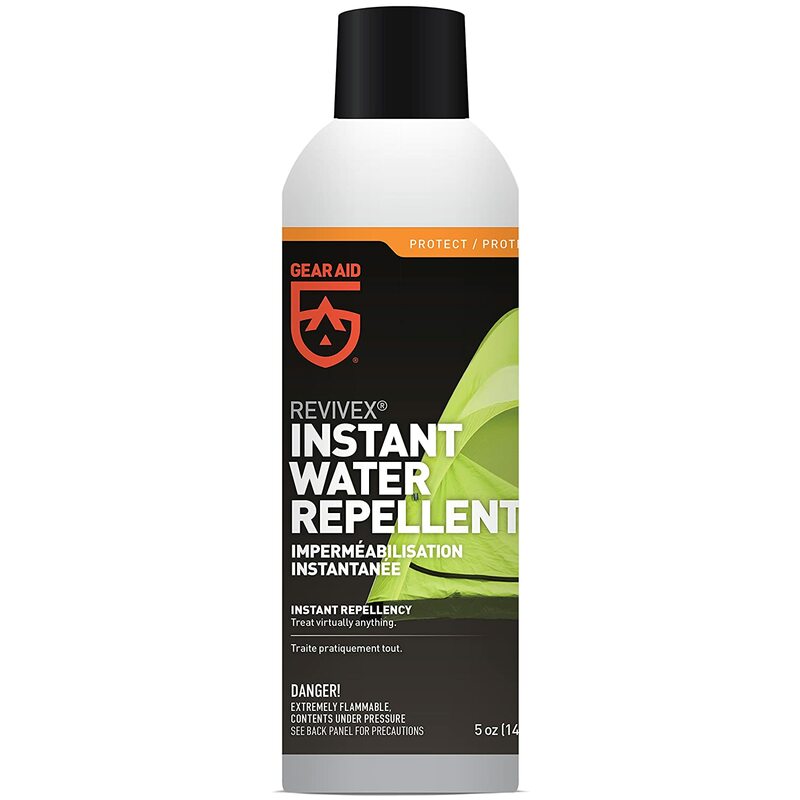 Our next pick in the segment of Best water-proofing sprays for tent is Gear Aid Revivex Instant Waterproofing Spray. What makes them unique from the rest of the sprays is the fact this spray is Silicon free which means you can easily apply on any fabric. The application of this spray improves the breathability inside the tent and creates a barrier for the water to enter inside the tent. 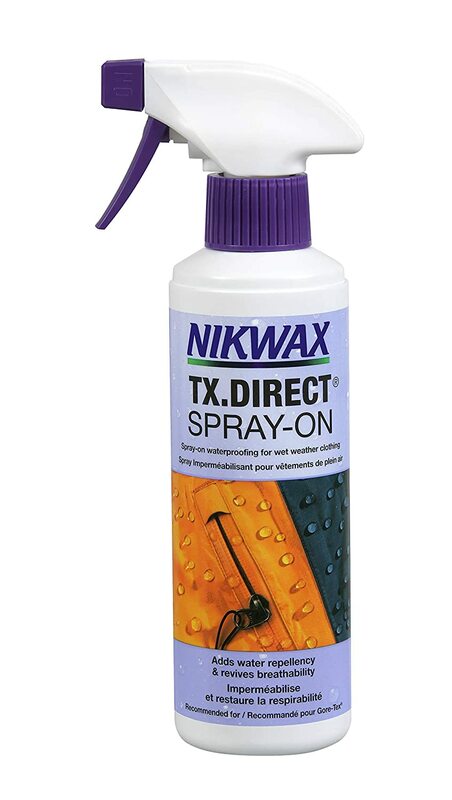 Nikwax TX Direct Waterproofing has been able to make its way into our list of best waterproofing spray for tent. The easy application of this spray makes the fabric resistant to water which means you don’t have to worry about the downpour at night. Besides this, the usage helps in improving the breathability inside the tent. Before you set out to water-proof your tent, remember there are some key considerations that can’t be put aside. You need to make sure which part of the tent needs waterproofing. Whether it’s the floor that collects the water or the walls that are least resistant to water. Sometimes, there are chances that previously water coating would have faded away while you constantly used the tent. So, you need to gather facts about which parts of the tent require water-proofing. To know which parts of the tent require water-proofing, what you can do is put your tent inside the water and glance carefully where the bubbles rise out of the tent. Yeah, that’s the part which requires waterproofing. Now you know which spot requires the water-proofing, it’s time to place the tent in a dry place before you begin the process. Precautions Before Waterproofing The Tent? Here’s the detailed Step by Step process to guide you how to water-proof your tent. Before you begin your process, make sure that you have glanced through this section. Choosing the right day to water-proofing your tent can be effective. After all, you don’t want the downpour to wet the tent. Besides this, a windy day can be another obstacle when you want to water-proof your tent. So, choose the day that has less humidity. The next step is to ensure that your tent is clean. No dust particles reside on the top or any other part of the tent else the water-proofing procedure will become ineffective. To make sure your tent is clean, pick up a clean piece of cloth and sweep through the entire surface of the tent. You can also use a vacuum to make sure that there are no dust particles. Once you are done with cleaning the process, the next step is to ensure that your tent is dry. For this, you can put your tent at a place where water is no accessible. Sprays are least effective when they come in contact with the waters. So, keep away water from reaching your tent. After your tent gets dry, it’s time to begin the actual process. You need to hold a good water-proofing spray to ensure your tent is waterproof. So, start spraying the spray on the surface of the tent. Make sure that you have covered each part of the tent and there is no part left that needs to be sprayed. While you apply the spray, you need to be cautious. It would be much better if you do this process in an open area where there is a good ventilation system. Once you are done with the first coating, let your tent get dry. It might take some hours to completely dry. Once your tent is dry, re-apply the spray like before. This will give your tent a second layer of coating that will be effective when you start camping out again. Once you do all this process, the next step is to put the seam sealants on the seam. There are times when you are not able to find seams or some seams are left. So, place the tent in an open area and start looking for the seams. You can find the seams on the sides of the rainfly and some seams on the inside part of the tent. Read the instructions before you start applying seam sealant. Seam Sealants make sure that no water droplets enter the tent. How To Waterproof The Tent? If the waterproof coating on your tent has started to decay, its time to go ahead with some process to make your tent, a waterproof one. 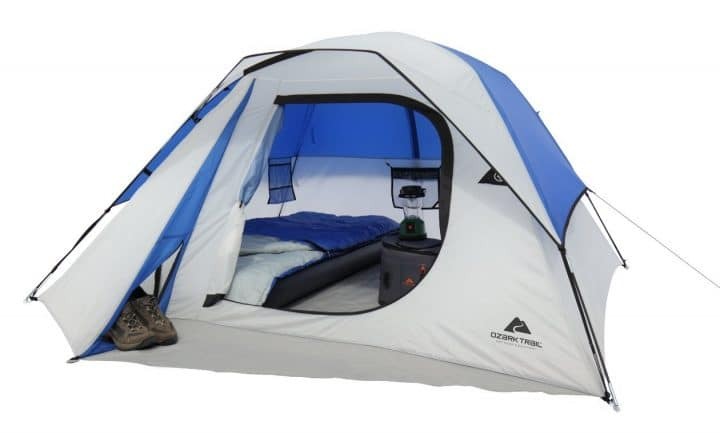 A waterproof tent ensures that your tent stays dry and prevents water to enter the tent. Check out the process to upgrade the waterproof coating of the tent. Sealing Seams – Begin by dipping the tent into the water and see if the water leaks from rainfly or tent, its time to seal the seams that are least resistive to water. For this, you will need rubbing alcohol and perfect sealer. There are majorly two types of seals which are in the display including silicon and polyurethane-coated. Depending on what type of fabric is used in manufacturing the tent, you can use the seam sealer. Start applying the rubbing alcohol on the tent and then apply the sealer on the inside area of the seam and let it get dry. 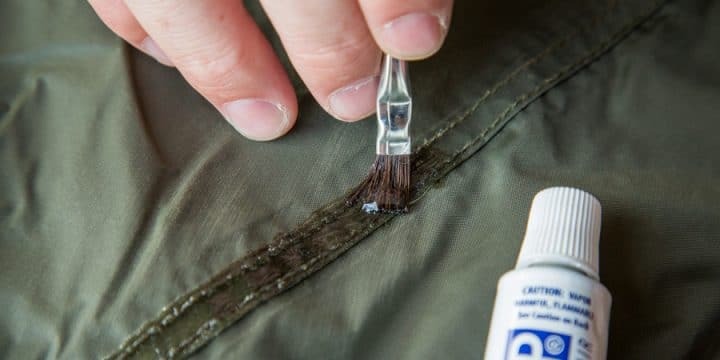 Revamping the Coating on the Tent – When the coating inside the rainfly or any part of the tent breaks from the surface in the little bits, you know its time to revamp the urethane coating. To move ahead, you will need a sponge, rubbing alcohol and tent sealer. So, all you have to do is put your rainfly or the floor at a dry place and using the sponge and rubbing alcohol, dust off the coating from the rainfly. Now apply the tent sealer calmly and let it get dry before you pack your tent. Revamp DWR (Durable Water Repellency) Coating – Once your rainfly gets dry which is essential before applying Durable Water Repellency spray. Let your rainfly get dry and after that, apply the spray evenly on the rainfly. Once you are done make sure that you have covered the whole area of rainfly. If you see any excess coating on the rainfly, dust off that with a clean cloth. With that, we are wrapping up our discussion that focussed on the procedure to water-proofing the tent. Before you set out on your trip, water-proofing the tent is essential. You never know what mother nature can throw at you. There are some things that you need to be cautious about including the sprays and seam sealants. Once you apply the spray, keep the tent in a dry place. Till the time, the tent gets completely dry, you can proceed on to set out on your trip. Meanwhile, you can start packing all other camping essential till the time the tent gets completely dry. 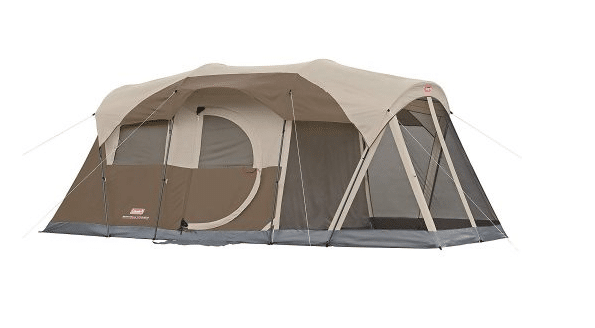 No matter what type of tent you own, whether you are looking to water-proofing your canvas tent, water-proofing the tent is cheap, economical and must have. You don’t have to pay big for water-proofing your canvas tent but water-proofing the tent increases the life span of the tent which means you can frequently set out on your camping trip.